Eric D. Selden specializes in corporate and commercial litigation in the Delaware Court of Chancery, corporate counseling, and mergers and acquisitions. Eric has represented corporations, directors, officers and stockholders in a variety of matters in the Court of Chancery and other state and federal courts located in Delaware. 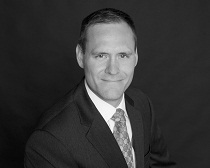 Eric recently served as co-lead trial counsel for the defendants in a three-day trial in the Court of Chancery concerning ownership of a hedge fund, after which the Court adopted the defendants’ theory of the case and awarded the plaintiff less than two percent of his pretrial settlement demand. Earlier in his career, Eric also served as trial counsel for a plaintiff during a six-day trial in a successful challenge to the issuance of $300 million of convertible preferred stock by Loral Space & Communications, Inc. to its controlling stockholder. Eric also has helped several clients secure dismissal or successful pre-trial settlement of claims against them, including recently helping secure dismissal of claims brought by Abbott Laboratories against a former director of IDEV Technologies concerning Abbott’s $310 million acquisition of IDEV. Other recent matters include representation of UMB Bank in an action against Caesars Entertainment Corporation and various affiliated entities seeking, among other things, appointment of a receiver to manage the affairs of Caesars Entertainment Corporation, representation of a special committee of the board of directors of Activision Blizzard, Inc. in a stockholder derivative and class action challenging a significant transaction, and representation of Chevron Pipe Line Co. in a derivative action challenging a transaction between West Texas Gulf Pipeline Company and its controlling stockholder. Eric also has experience representing clients in numerous appeals before the Delaware Supreme Court, and has served as counsel in numerous expedited cases, including defending stockholder challenges to pending transactions. Before joining the firm, Eric was an attorney at Abrams & Bayliss LLP (formerly Abrams & Laster LLP) in Wilmington, Delaware, where his practice focused on matters involving Delaware corporate law and complex commercial litigation. Martin Marietta Materials, Inc. v. Vulcan Materials Company, C.A. No. 7102-CS (Del. Ch. ), aff'd, No. 254,2012 (Del. 2012).